Once again I have entered a furniture flippin contest. 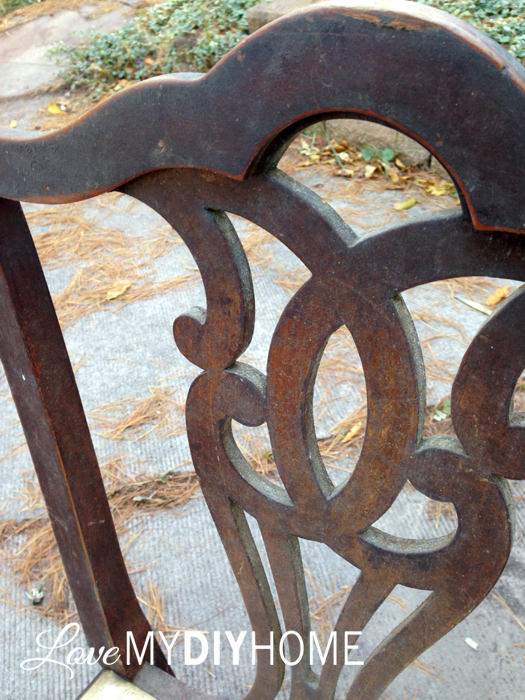 November’s Fab Furniture Flippin Contest challenge is called “Take A Seat” sponsored by Minted. 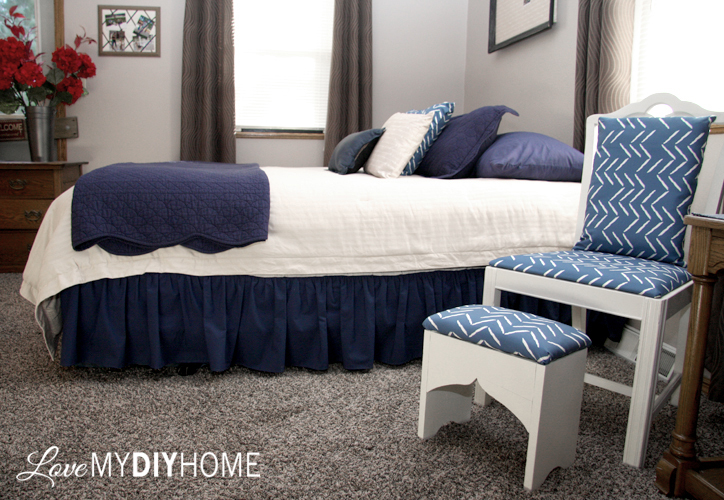 Each contestant was given free fabric from Minted to complete the project. Minted fabrics are designed by independent artists who design a pattern and then enter it into Minted’s ongoing design competitions. Designers submit, and the Minted community votes to tell them what to bring to market. You can check it all out here if you’re an artist or would like to vote. I chose the fabric Herringbone Incomplete by Lehan Veenker for the chair and pillow and Arrowhead by Paper Dahlia for the accessories. I wanted to put together a color scheme that would go with the desk I already had in my guest room. The desk was my submission in the September Fab Furniture Flippin Contest. 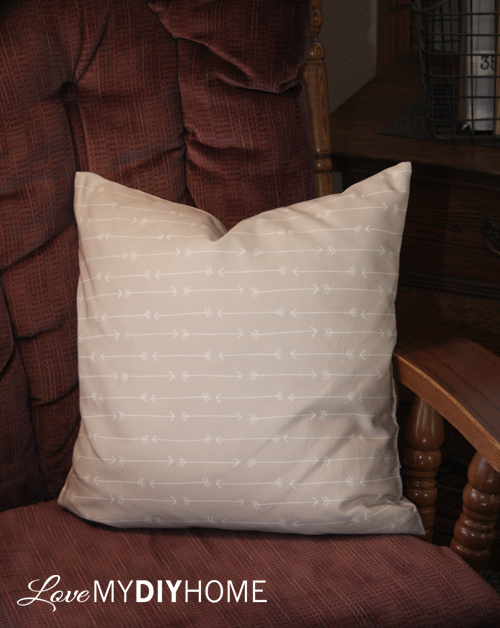 The fabric is of excellent quality, perfect for upholstering the chair and footstool for my guest room as well as the coordinating pillows and wall art. The chair I chose was an antique dining room chair, one of three that we had gotten as part of a group purchase at an auction. It had been stored in our barn for a couple of years keeping company with the spiders. It had taken a beating over the years; it was nasty dirty and in rough shape – or so it seemed. One look would be all it would take for most people just to stick it in the trash and be done with it. But I’m not most people. Last year I spray painted one of the chairs and have used it on my front deck as décor to hold plants, watering cans, or whatever fit into my seasonal decorating. The first year I just painted it dark brown. The next year I repainted it and then distressed it. It held my huge marigold plant this fall. 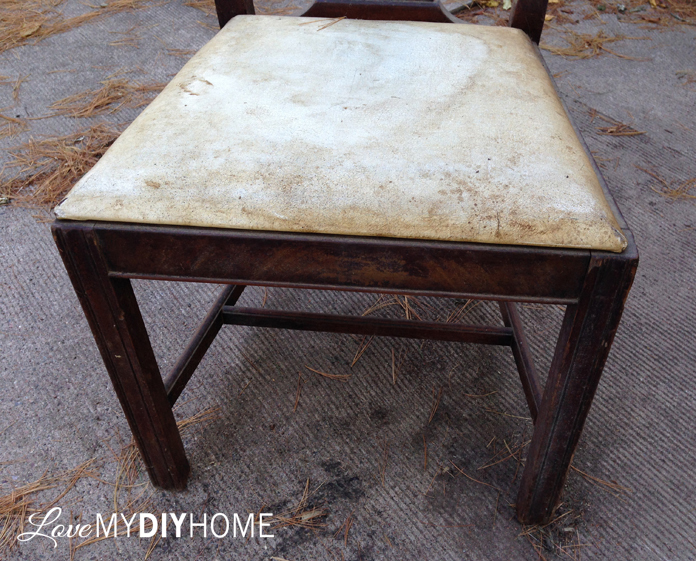 This time I grabbed its sister chair and sanded it, primed it with Zinzer’s spray primer and then painted it an antique white to match the desk in my guest room – the one I told you about from September’s contest. 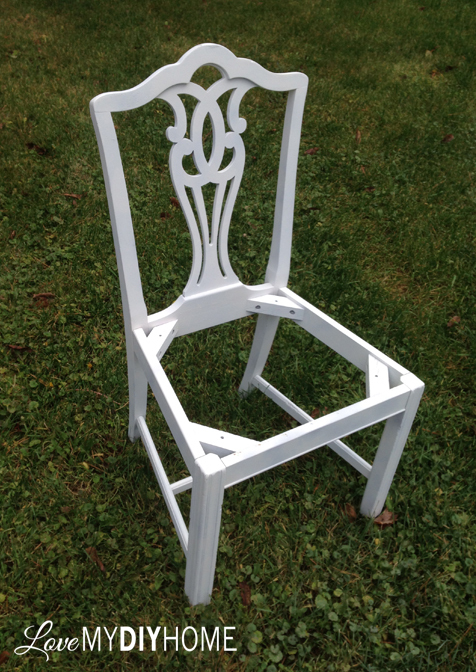 I even primed the seat – to add one more degree of separation between me and the “old”. I’m not real crazy about “old” because often “old” smells, has had a family of bugs march in and out or harbored unseen germs for generations. I’m a bit of a germophobe and wear the badge proudly. My mom told me that I turned into a germophobe because of my kids. Yep. Probably. I’ve never been one who liked antiques. But give me an antique that I can paint and distress, or not, and I love it. New-old works for me. Not old-new. Or old-old. I also like new-new. 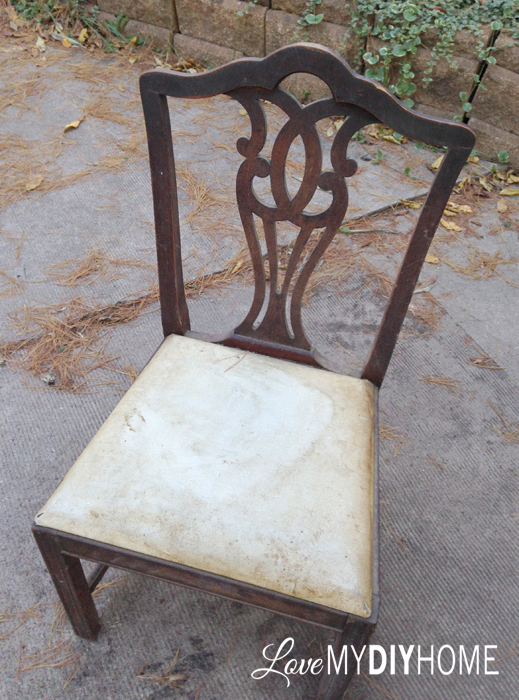 So here I am with an “old” antique chair that is crying out for some new-oldness and I’m just the one to answer the call. 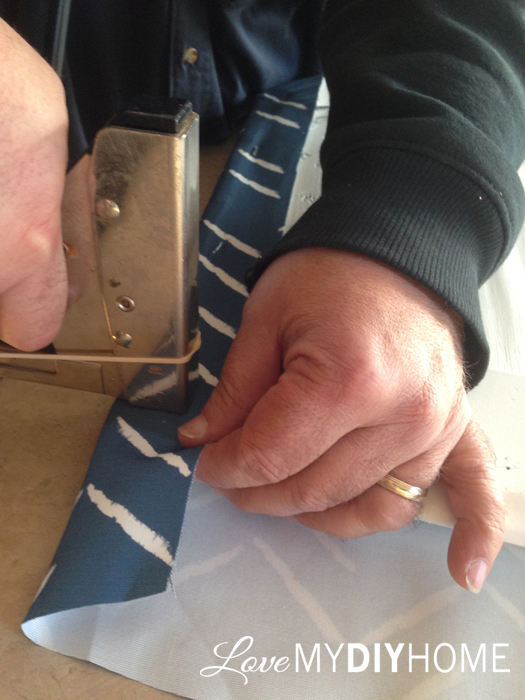 After it as revived, I cut the fabric a few inches larger than the pad and stapled it around the edges. Here is my DH modeling his staple gun. I couldn’t believe it when I flipped it over after I stapled it and it looked so not-DIY! I am a DIYer that doesn’t want her stuff to look like it was DIY’d. I chose a simple project to show you how easy it is. 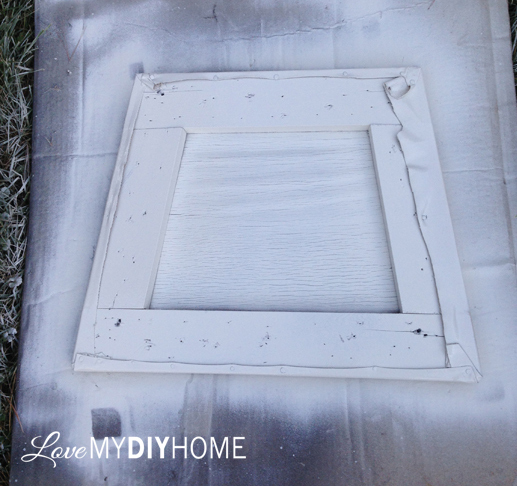 It is not my intention to do this crazy big project to show off my DIY skills. Then how could I get you to venture out into a DIY area you are unfamiliar with if it looks too scary complicated? 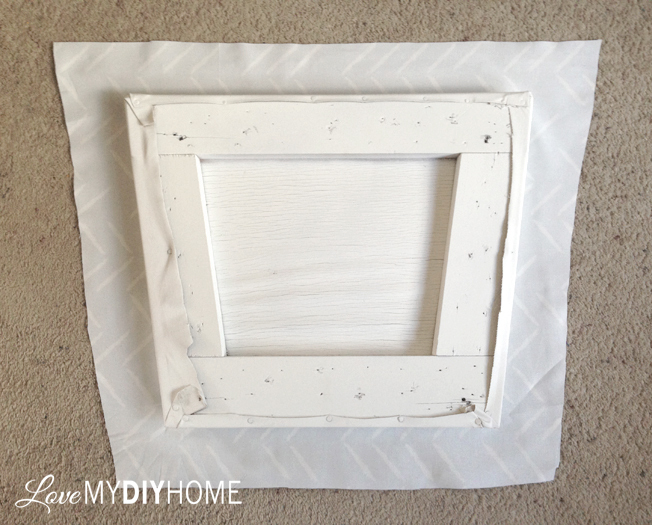 Here is a super simple project that looks stellar in the end. You can’t get better than that. 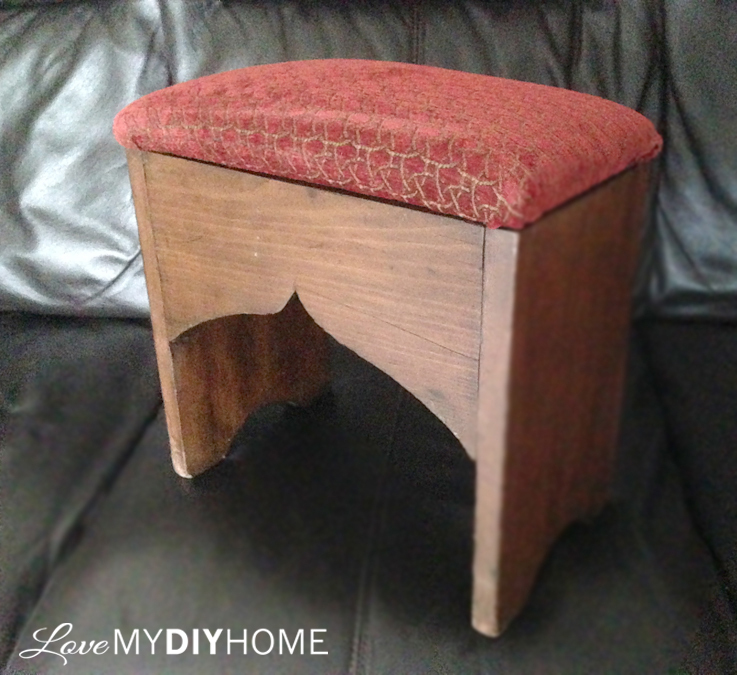 A friend had given me an antique chair that had a footrest, a small ottoman that was cute as a bug’s ear. 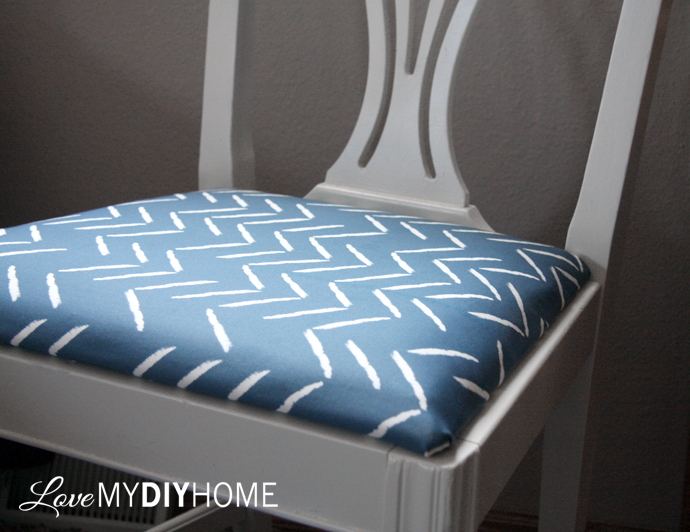 So I took that ottoman and painted it to match the chair from the auction and recovered it as well with the same fabric. Pretty amazing? 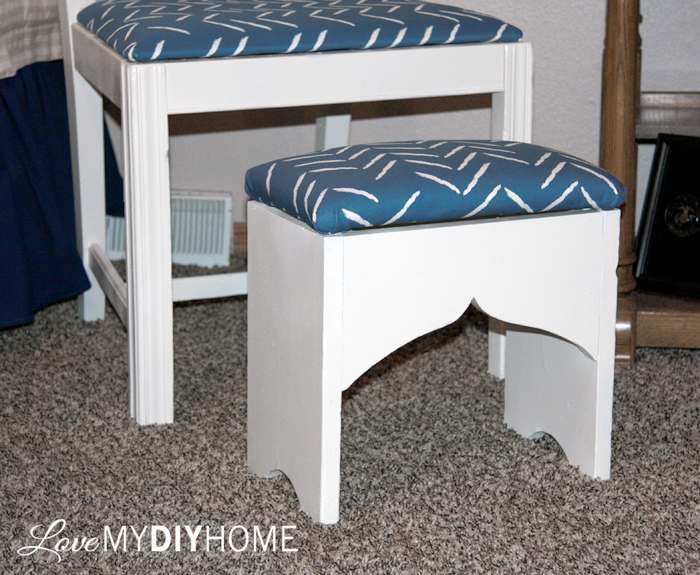 Paint can create cohesiveness in mismatched furniture pieces. 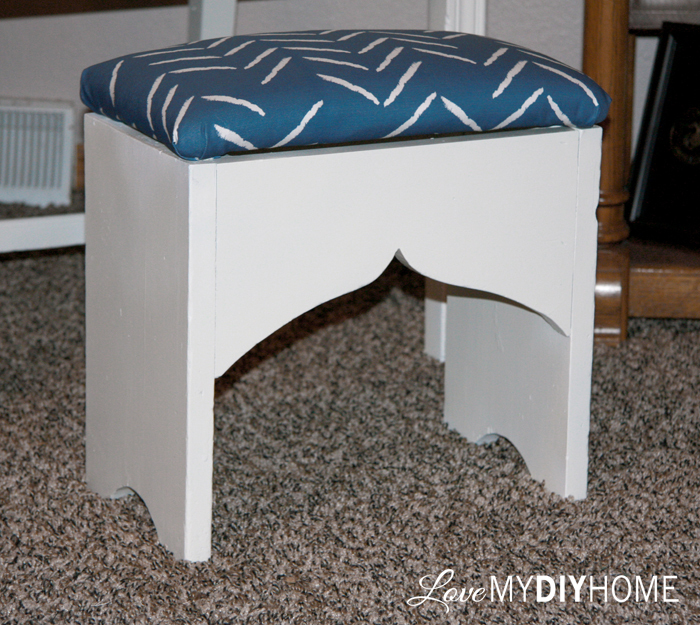 I love the idea of one of our little munchkin grandkids coming for a visit and grabbing this little kidlet seat to sit on as they put their socks on when getting ready in the morning. 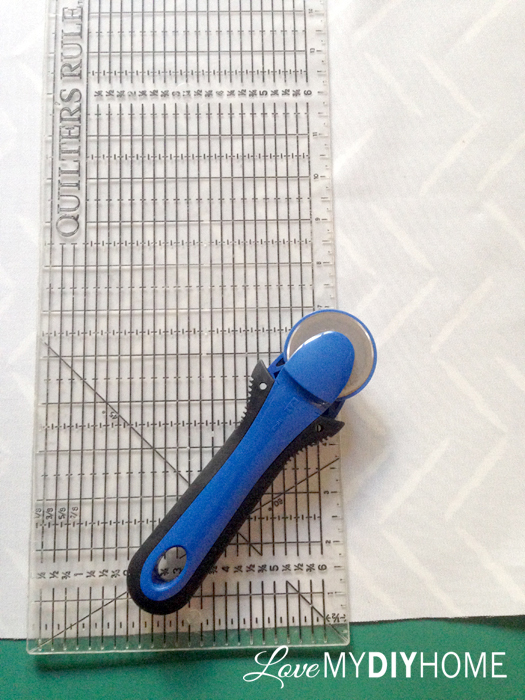 To make the pillow front and back exact and square, I used my rotary cutter and quilters ruler and cutting board. 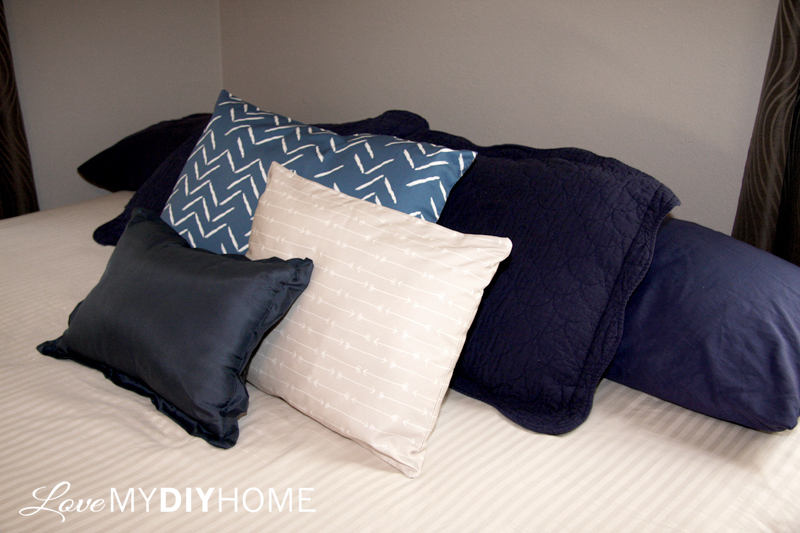 Adding a big twin size pillow on the bed of the same fabric as the chair tied it in to the rest of the room along with two smaller pillows of the other fabric from minted. The tan arrow pillow on the bed is stuffed with my mom’s extra pillow that she used for her arm when she slept so it wouldn’t fall asleep. This adds sentimental value for me. 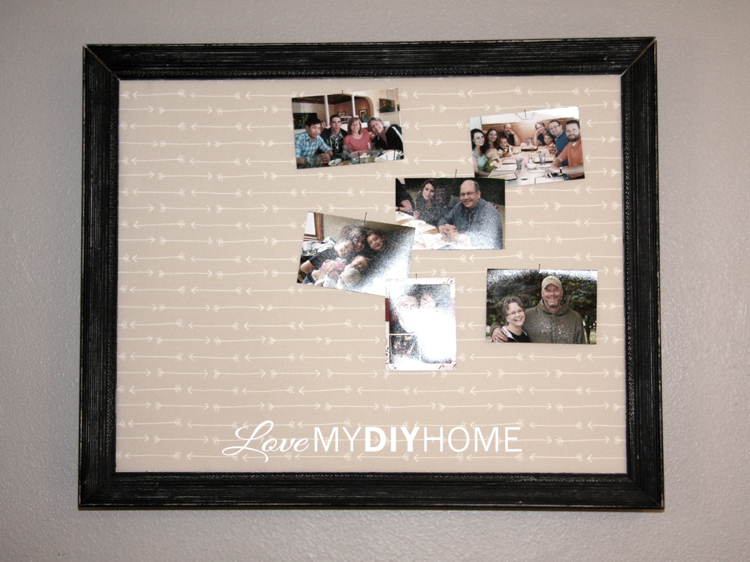 I like to weave sentiment into my DIY projects as much as possible – makes it more meaningful and one-of-a-kind. 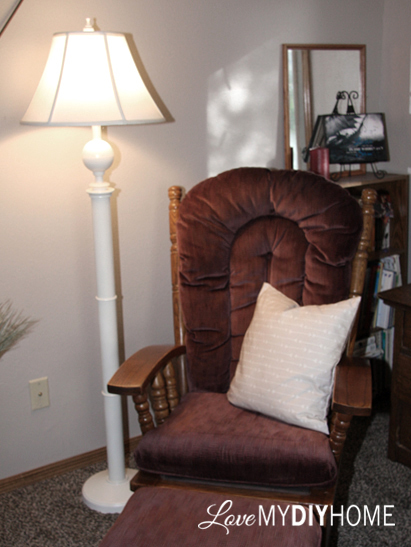 One small pillow is on the bed and the other is on the rocking chair next to the desk. 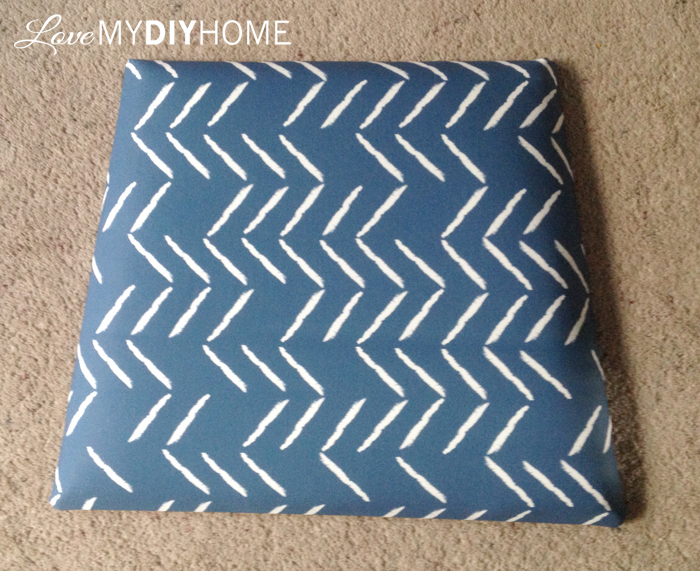 I used the inside pillow form from a couch pillow a friend had given me for the arrow pillow on the rocking chair. The floor lamp was a side of the road rescue, another project I’ll share later. To tie the projects together, I also made a wall hanging for above the bed out of the Arrowhead Minted fabric. The tutorial will come at a later date after I do the total room reveal. I tell you this to encourage you to do the same. Take a room one project at a time and turn it into a beautiful show-piece full of memories – something you can be proud of and want to show your family and friends. As you plan out your next room décor, start out with a basic color or two. Here I started with antique white, tan and brown as my base colors and then added the blues. I have two splashes of color, lime green on the desk on the other side of the room and a red flower arrangement that can be switched out for other pops of color as the seasons change. My patterns are similar as well. 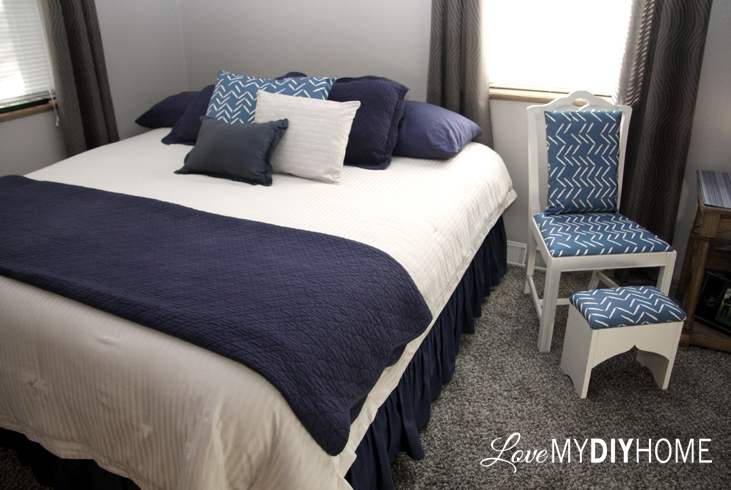 The blanket at the bottom of the bed is quilted in a zig zag pattern, the chair and pillows are the Minted Herringbone Incomplete(a kind of broken herringbone) and the other fabric is Minted’s Arrowhead, which has similar lines as the herringbone and zig zag. The desk across the way has lime chevron fabric mod podged on the drawers. The total room reveal will be posted soon, along with details on the different projects shown here. Each piece in the room has a story behind it – that’s what makes each room in my house so special. I’ve never just gone out to a store and bought everything I wanted or needed. It sometimes takes me years to put together a room – through scrounging, saving, painting, searching, matching and even digging through piles of unwanted “stuff” to find just the right piece. It’s worth the effort if you can look around your room and find dozens of memories loaded with sentimental value. 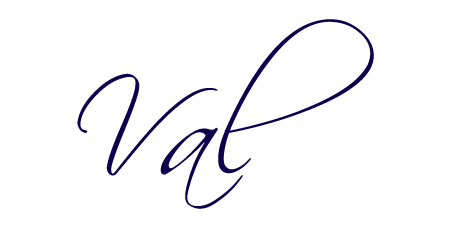 I do love a good story – my home if full of amazing stories of how God has provided for us. Come for a visit and I’ll tell you a few. The Fab Furniture Flippin’ Contest is open only to the entrants who have signed up through the group Facebook page. If you are an active, furniture flippin’ blogger, and you’d like to participate in future contests, we’d love to have you! Email info@fabfurnitureflippincontest.com to find out how! I decided to add a FREE PDF that you can download here, or click on the picture below. 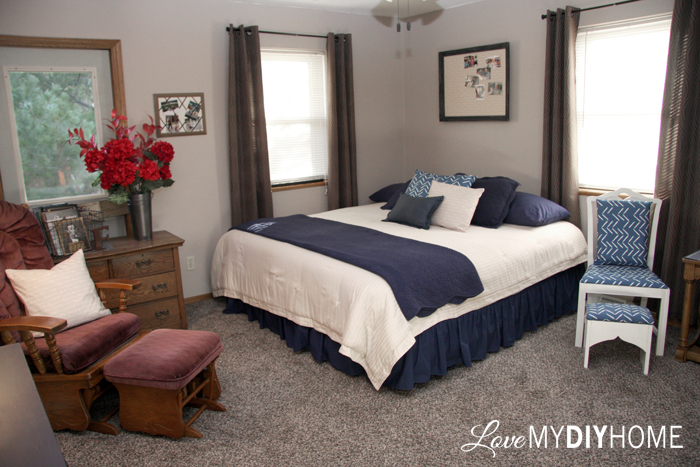 When I have had guests in my home, I usually ask them if I am missing anything in my guest room that would have made their stay more comfortable or enjoyable. 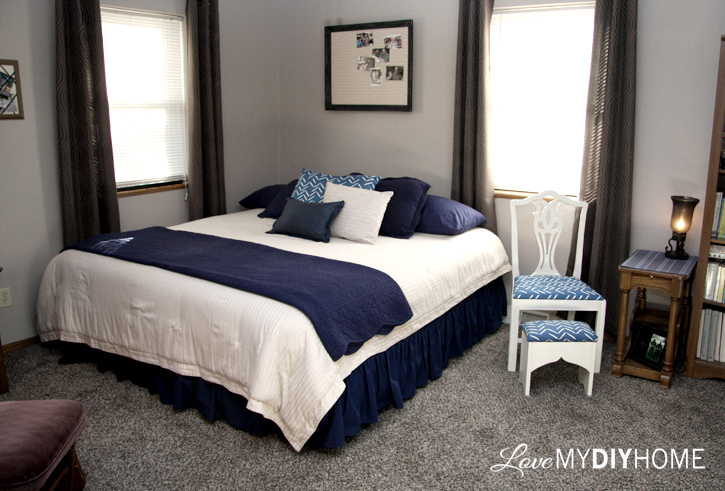 The 7 Guest Room Essentials reflects their answers and my research and will give you a head start on your guest room. Have you anything to add? (You will need to download a full resolution copy first.) Leave one or two of your ideas in the comments so I can make this list even better. Thanks! I spied that fabric and was on the verge of selecting that design. Oh, there were so many choices! 🙂 I love the contrast between the dark fabric and the white frame. 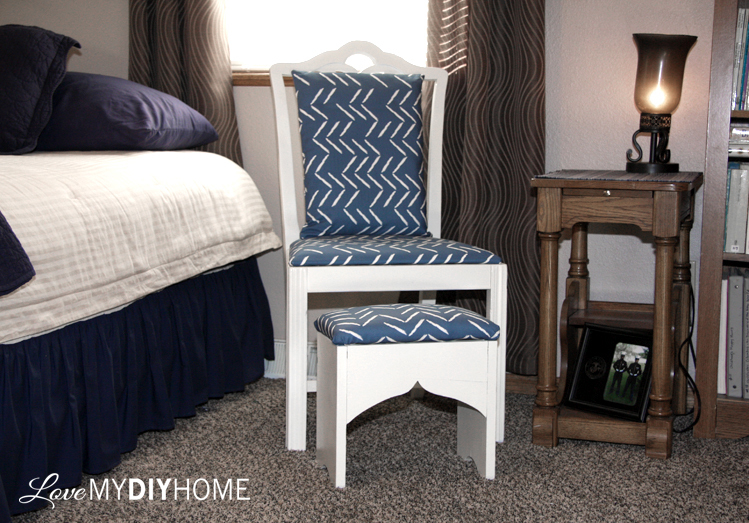 Thank you for participating in this month's Fab Furniture Flippin' Contest! Thanks, Carrie. There were so many to choose from – it took me sevral days to settle on one (or two). Thanks for having the contest!